Residents living along the Lagalaga area in Labasa have begun to experience heavy rain. 65-year-old Gopi Chand who lives with his wife in Lagalaga says that the weather is worsening by the hour. Chand says they were experiencing light showers last night as normal however the weather has completely changed since 10 this morning. He says the wind speeds are beginning to pick up. Another resident of Muanicevu, Dreketi says that rain has eased a bit and they are experiencing no rain. Residents in Wailevu, Tabia and Labasa Town are also experiencing heavy rain since 10 this morning. There have been no reports of major flooding as yet. National Fire Authority Personnel in Rakiraki and Nadi have highlighted that they are experiencing occasional light showers while there are no reports of flooding. Tavua is experiencing an overcast throughout this morning with no rain as yet. Authorities in Ba, Lautoka and Sigatoka have confirmed that there has been an overcast in the last 6 hours. 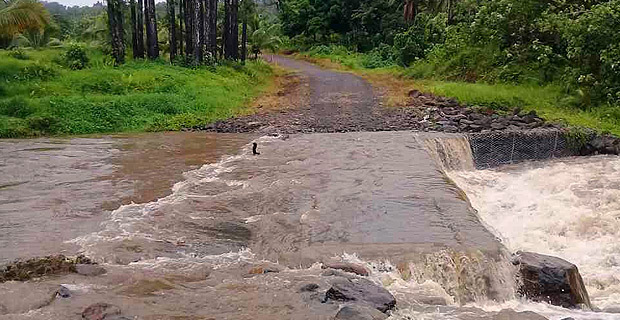 People living in the Savusavu area are currently experiencing slight rain however there have not been any reports of flooding. Police say that the water levels in the Bagata river had increased last night however it is decreasing now. People in Labasa continue to experience cloudy weather. Police confirm that there were no reports of flooding. There is an overcast over Taveuni. National Fire Authority personnel at the Taveuni Fire Station says that they have only been experiencing light showers. Situations in the Western Division remain calm in most places. National Fire Authority Personnel in Sigatoka highlighted that they have only been experiencing occasional light showers. Meanwhile, areas from Nadi to Rakiraki have been experiencing an overcast with a few showers. Authorities in Lautoka and Ba have confirmed that there have been no reports of flooding after the rain last night and the weather has been calm heading into this morning.